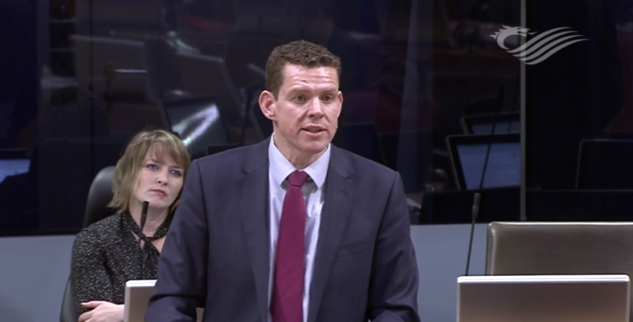 During today’s FMQs in the Assembly, Ynys Môn Assembly Member Rhun ap Iorwerth asked the First Minister to urge National Grid to listen to the will of the people, following the unanimous vote in the Assembly last week, favouring undergrounding rather than pylons. “Last Wednesday, the National Assembly for Wales made a very clear statement that it’s our democratically expressed wish in this place for the National Grid to seek alternative methods of making new electricity connections in Wales other than putting in place new pylons for any new developments here. That’s particularly pertinent to us in Ynys Môn, of course, where we face seeing a new line of pylons being erected over the next few years.